Greek yogurt can be a high Calorie, sugar-laden diet breaker disguised as a healthy treat or a high protein, high calcium fat burner depending on what kind you choose. Have you ever read the food label of Greek Yogurt? You probably knew that Greek yogurt is packed with protein, but do you pay attention to the fat or sugar? One small container (5.3 oz) of plain Greek yogurts has about 7 g of sugar, which come naturally from the sugar in milk. An 8 oz serving of plain Greek yogurt should have about 9 g of sugar. No need to try to avoid this natural sugar, but you should choose Greek yogurt with less sugar added to it. I recommend always reading the food label and choosing non-fat Greek yogurt with as little added sugar as possible if you choose flavored Greek yogurts (it is the most Nutrient Dense this way). Or better yet, buy the plain, non-fat Greek yogurt and flavor it yourself! Plain Greek yogurt is more versatile too! At the end of this article, I will give you some ideas for a tasty flavored Greek yogurt without the added sugars! You also have to be aware of the fat content of the yogurt. 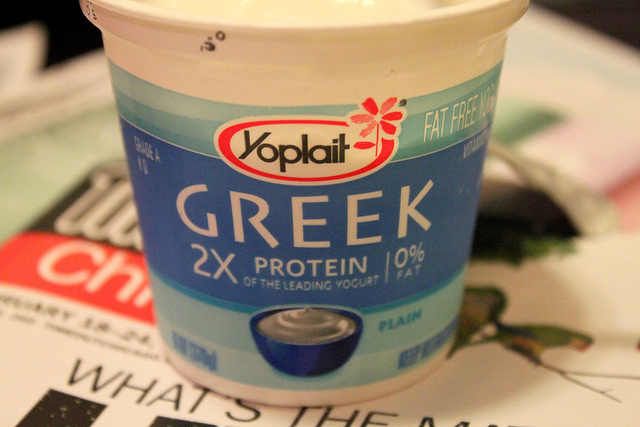 Some of the higher-fat Greek yogurts can really pack in the Calories so be careful. Non-Fat Greek yogurt still has a really creamy and thick texture, so choosing the non-fat version still tastes great.Who knew something that can be used to replace sour cream or be made in to a healthy ranch dip could make a sweet treat too! Put sliced strawberries in a pan on medium heat, add couple packets of Splenda, and cook until it’s like a yummy strawberry “sauce.” Then put it in the fridge and use it as a topping. No, I’m not talking about that one loud meathead at your local gym. He is too busy rolling up his sleeves and posing in front of the mirror. I’m talking about Fitocracy. Fitocracy is a great website for tracking your workouts and seeing your progress. You get “points” for exercising and gain levels as you go. It’s awesome to look back at your workouts from a year ago and see how much you have improved! If that doesn’t appeal to you, it’s also a great place to find a supportive community that will encourage you to better yourself. You can join What Matters Nutrition Fitocracy group and we can create our own community. If you read my article Weight Loss Step 1: Motivation, then you know how important motivation and social support are to reaching your goals.